There are certain events in your life that make an indelible impression in your memory. One such encounter for me was, the very first time I entered the Pilates Studio of New York in 1998 and was mesmerized at the unfolding scene. 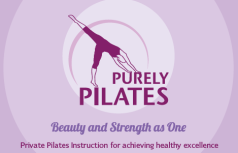 The room I saw was filled with 9 reformers (Pilates equipment) and 9 teachers attending to clients on the apparatus. The room was only illuminated by light filtering in from the floor to ceiling windows at the far side of the room which overlooked 57th street. There was also a sectioned off area in which gymnasts were performing some serious tumbling routines on the thick padded floor mats. In all other areas of floor space, there were other various pieces of equipment with teachers spotting or correcting their clients. With all these vignettes occurring, it did seem like a 3 ring circus of sorts except, it all was done in a very orderly, natural flow which seemed almost commonplace. As I stood at the entrance with eyes glued, I suddenly heard a booming voice coming from somewhere in the middle of the room, “Get that heavy bag off your shoulder and don’t stand on one hip!” barked the order. For a moment, activity ceased and teachers looked up and around to see who it was directed to. “You, you, there, dear, with that black sack on your shoulder. Very bad for posture!” And then I knew, in that instant, that the comment was actually for me! Between embarrassment and chagrin, I threw the bag off my shoulder and stood up straight on my legs. And, to this day, I never stand on one hip! She was bigger than life. When she made an entrance in the studio every morning at 7 am, each apprentice would say good morning and assume an even more professional persona to impress her. And when she was teaching a particularly challenging client with some type of handicap or limitation, apprentices would crowd around to watch her. They would take notes on her lesson plan and special techniques to help people stretch and feel better. She was always encouraging to all clients, and apprentices, and loved the attention she whole heartedly deserved. A special treat to observe would be when she taught visiting dancers from Brazil and we were able to watch amazing workouts from them on par with brilliant performances equal to their expertise. She made them work hard, and as the beads of sweat fell from their faces, all the apprentices dreamt that one day they could either perform the exercises as well or perhaps teach as well as Romana. After hours were accrued, testing took place at intervals to make sure all material had been practiced, honed and skills perfected. When at last, testing was nearing its completion, our reams of notes taken studied, exchanged with others, and hours of endless quizzing and discussions processed, we would then face Romana for our final part of our test. It consisted of sitting alone with our great mentor and being asked specific questions about our craft. Her base of knowledge was endless, her experience in teaching was boundless and her commitment of helping people and not injuring them was of utmost importance. It was a glorious day when after an apprentice passed all parts of our test, we celebrated in the studio with Romana opening a bottle of champagne and we all toasted the person who was passed through the “gilded Pilates gates.” And her final words? “I never want a client to come back to me and tell me they were hurt by one of my teachers!” I hold onto those words as a keepsake of her presence and have never veered from that in 18 years of my teaching people.